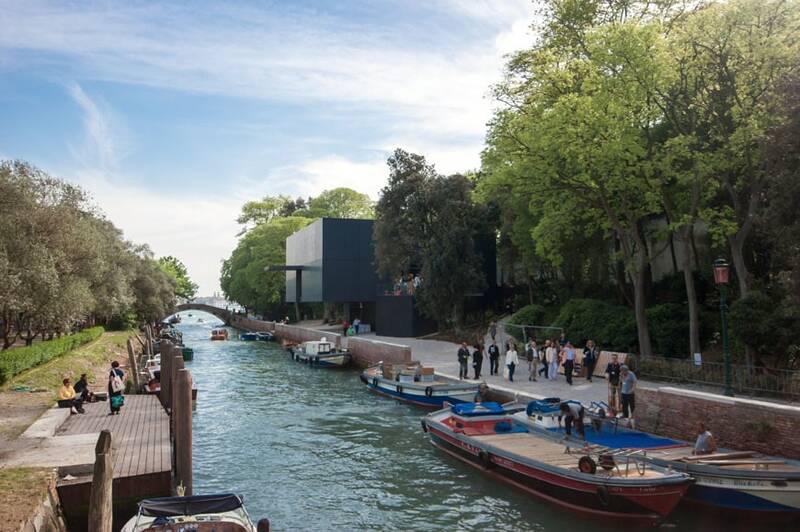 After two decades, a new national pavilion has been built in the Venice Biennale’s gardens, it’s the pavilion of Australia. 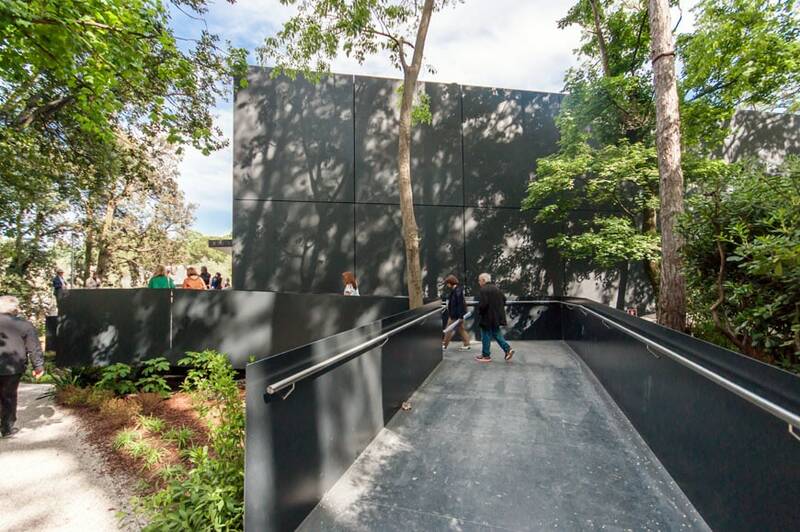 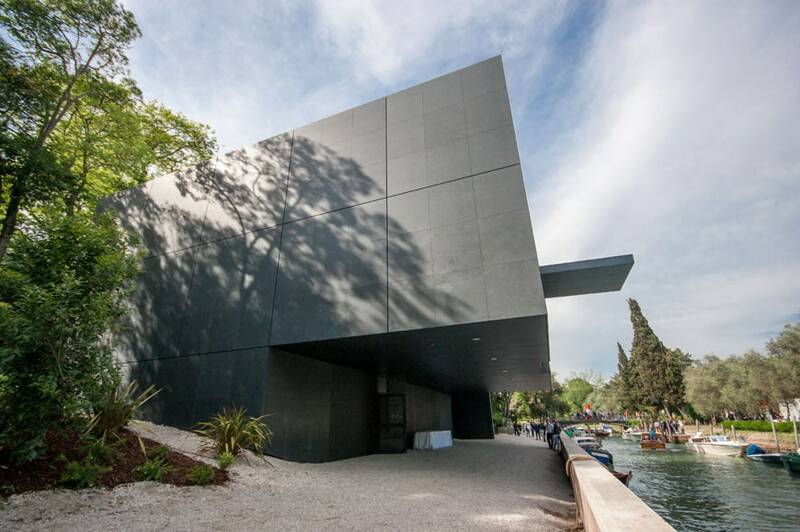 The new building, designed by Melbourne-based office Denton Corker Mashall, is a rigorous, black colored, monolith, overlooking the canal that splits the Giardini di Castello in two. 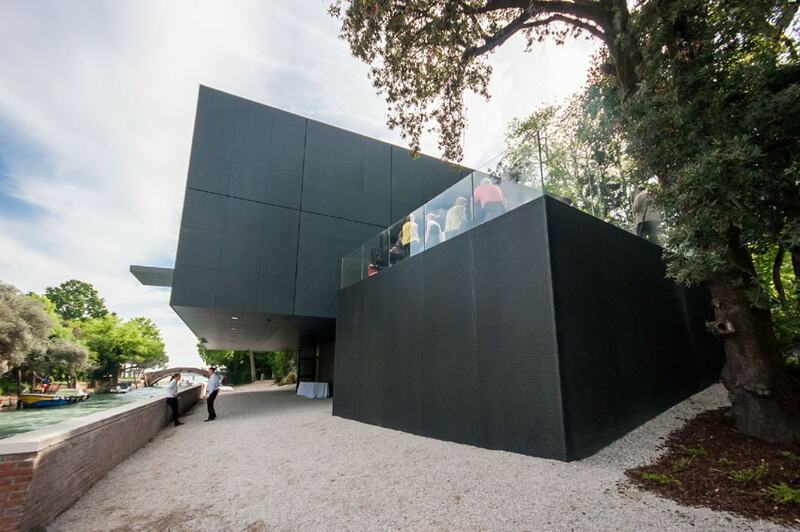 The visitors access the pavilion by a long ramp that , through an open-air terrace, leads inside the 240 square-meter building. 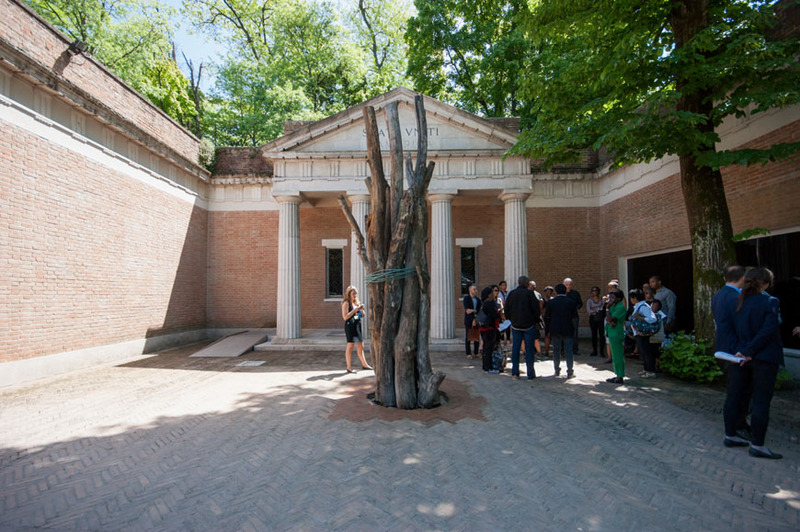 For the first time in Biennale’s history, the magnificent pavilion of the Nordic Countries, designed in 1958 by the Norwegian architect Sverre Fehn, features an exhibition organized by Norway only, presenting a work by Camille Normand. 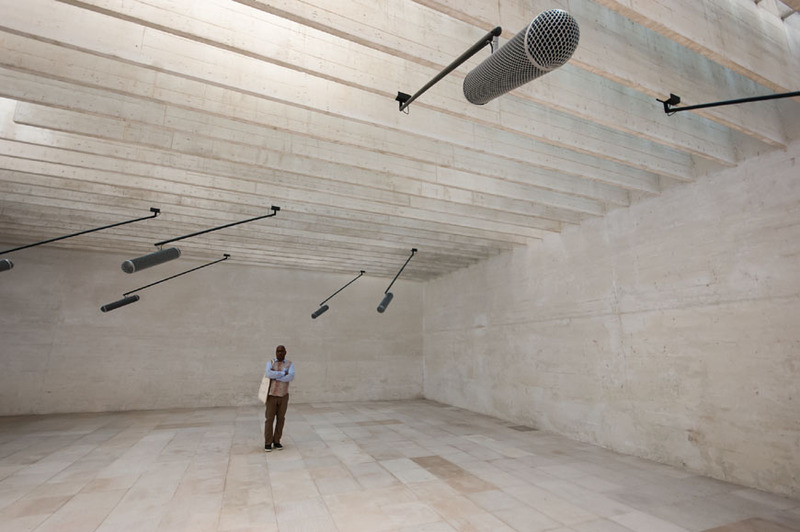 Inspired to the sound produced by the Glass Armonica, a legendary instrument of the 18th century, famous for its intriguing and ethereal voice but banned because deemed “too-exciting”, Rapture, the site-specific installation by Camille Norment, explores the relationship between body and sound, and transforms the pavilion itself into a sort of creature which experiences “raptures and ruptures” and “harmonies and dissonances”. 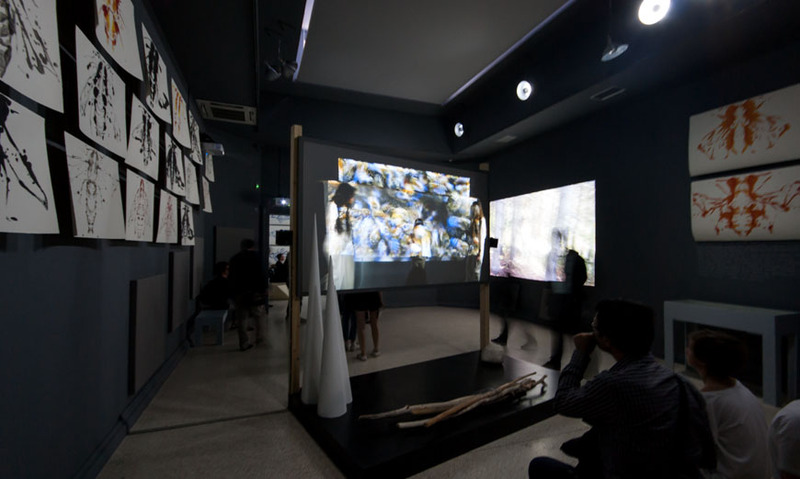 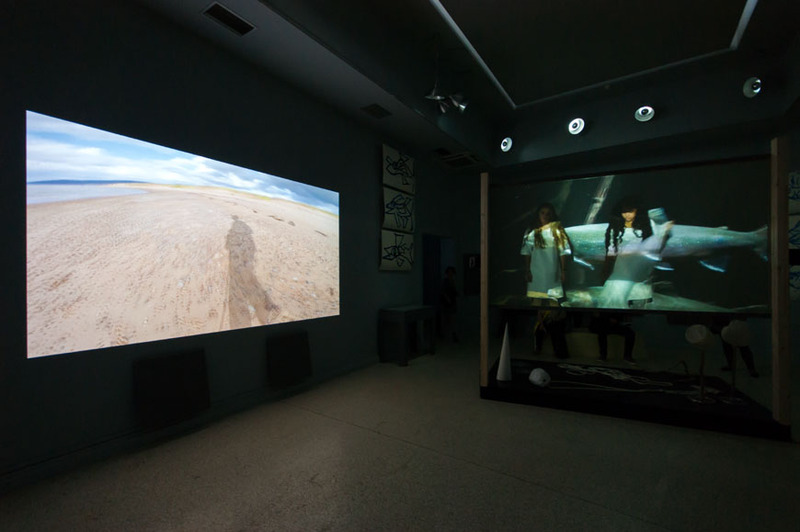 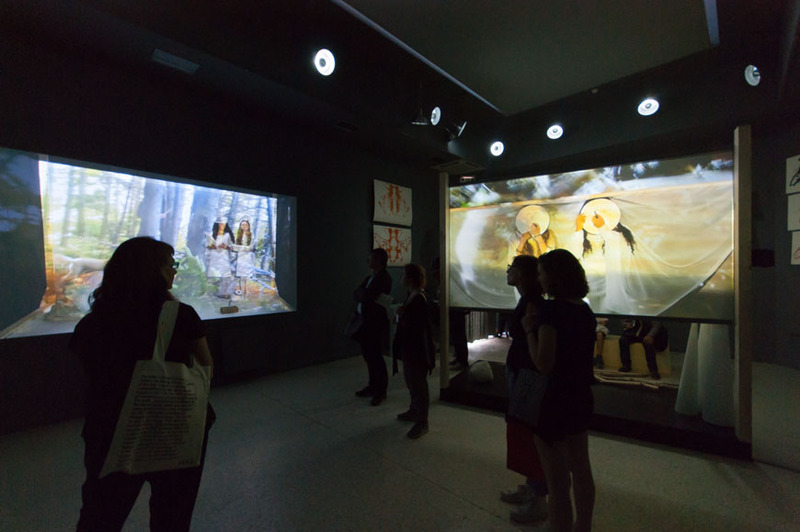 The pavilion of the United States at the Art Biennale 2015 presents the installation They come to us without a word by Joan Jonas. 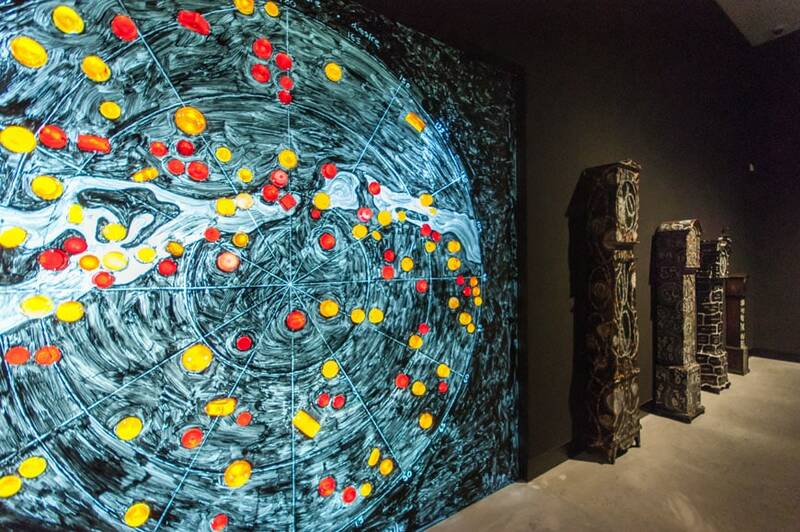 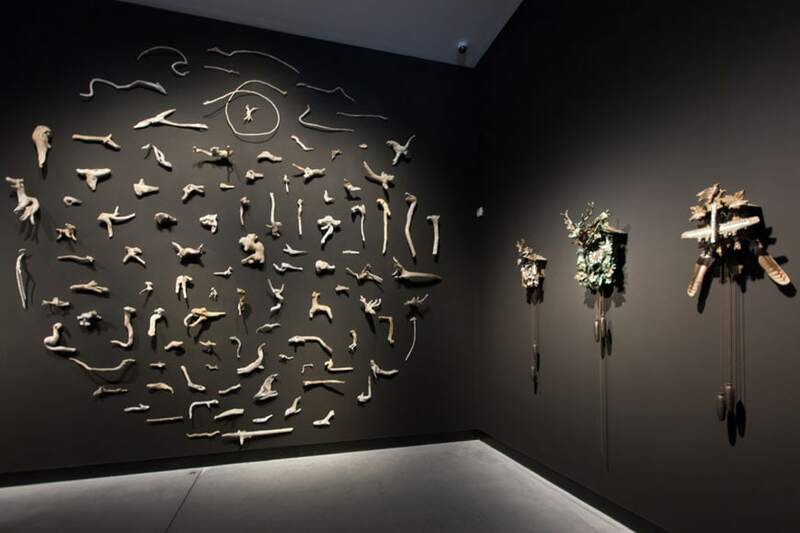 The work alludes to the fragility of Nature, as well as to the frantic and dramatic changes of its state. 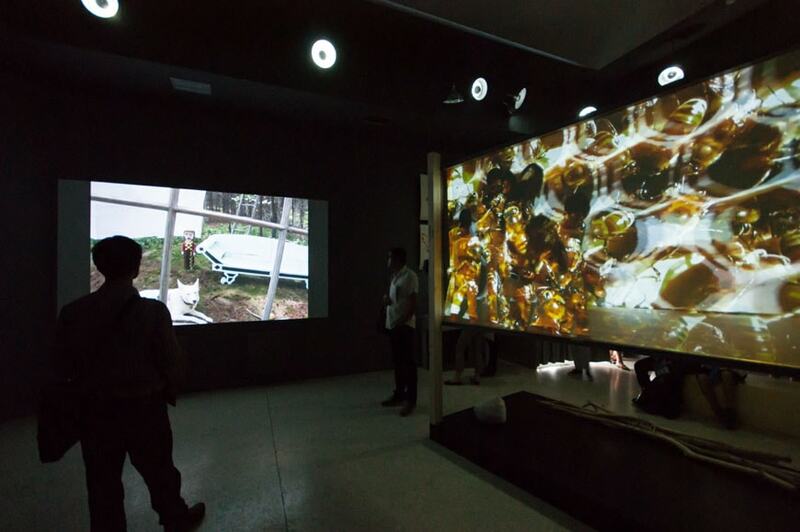 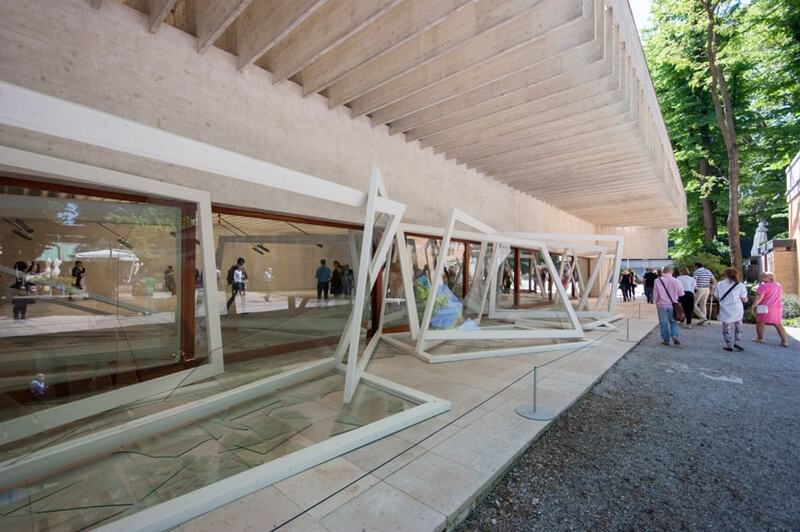 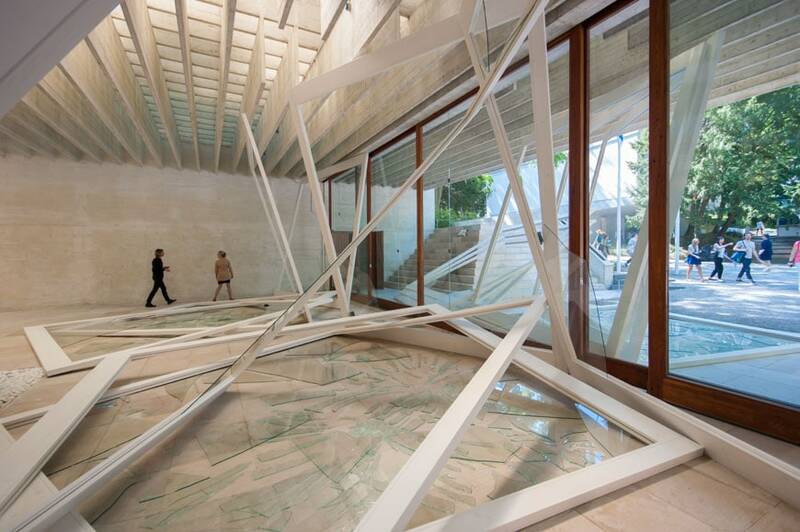 The installation is divided into five rooms, each presenting a theme: Fish, Bees, Mirrors, Wind, Homeroom. 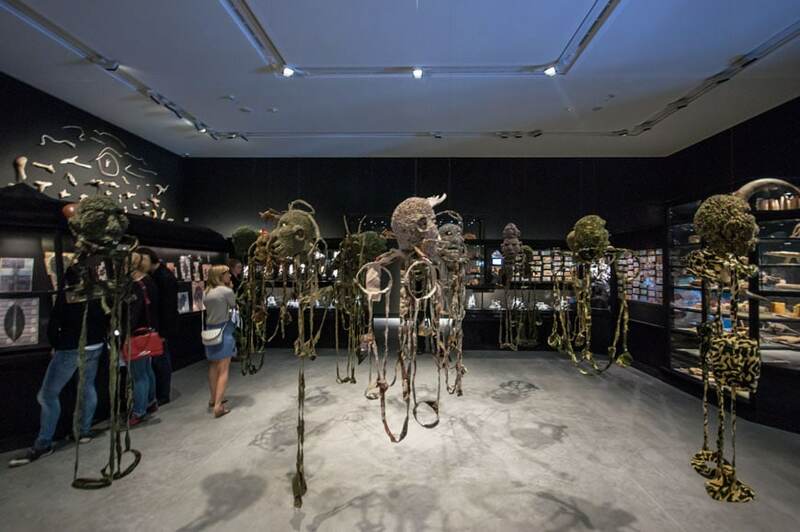 Fragments of dark stories from the oral tradition of Nova Scotia, bind together the subjects depicted into the rooms.